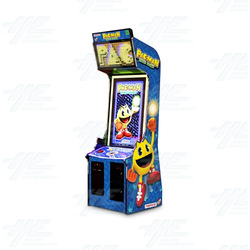 PacMan Ticket Mania brings back all the features of the beloved classic PacMan with an exciting new twist that rewards players with tickets. <b>How to Play:</b> Whilst avoiding ghosts, players must eat as many of the Pac-dots and fruits as possible in order to acquire points. Whilst avoiding ghosts, players must eat as many of the Pac-dots and fruits as possible in order to acquire points.